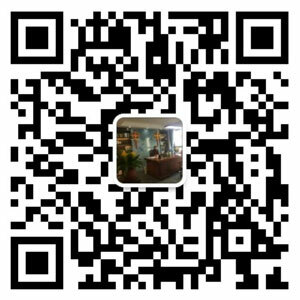 Rubber Size Reduction - WANROOE MACHINERY CO.,LTD. reversal times , extend the motor serving life . Hydraulic arm is installed on the hopper to forcibly press the recycled material into the cutter though the hydraulic arm . With various cutter , two shaft shredder surfaces welding alloy steel materials ,surfacing high alloy steel materials ,re movable head ,ect. 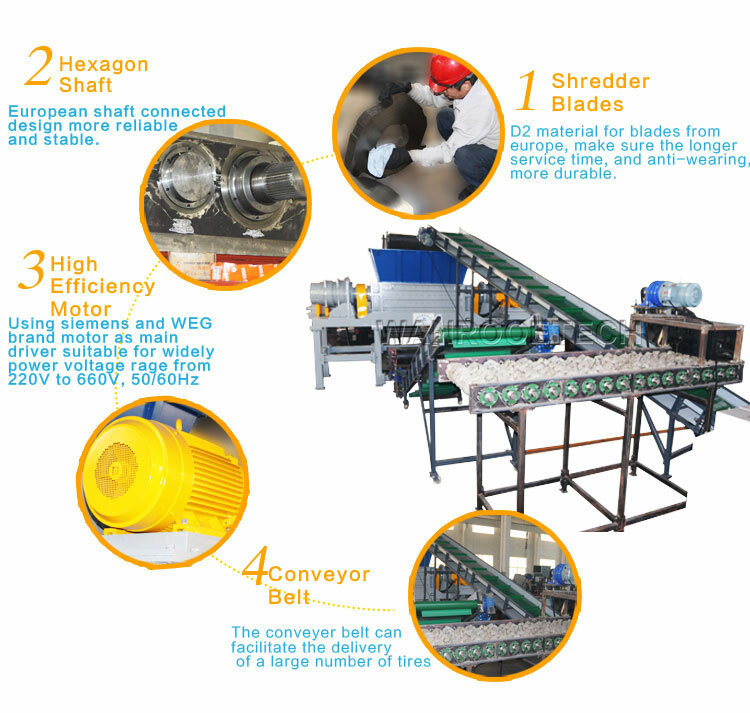 In both cases these shreds are discharged by a conveyor belt and transferred to the next Rubber Crusher . This step is to make the material into pieces of about 5-15mesh. This step helps to separate the tire rubber from the steel. A combination of cross belt magnetic separators and magnetic drums helps to split the various factions at this stage in the process. During metal separation we can take out about 99% of the total steel content. The steel free granule can than be packed and used as refuse derived fuel or transferred to the granulating process. After shredding and steel wire separation the tire shreds will be transferred to the granulation process. For granulating of the rubber shreds we are using our heavy duty Miller .Throughout this process the crumb rubber with particles 5-15 mesh is processed into 40-80 mesh. Due to the increasing number of cars and trucks all over the world, used tires are available in large quantities at very low cost. With a bit of clever recycling, you can get a whole lot out of used tires: granule in various sizes, steel and profit. The sales income naturally depends on the quality of the output material a process that is as efficient as possible. WANROOE designed a system dedicated to tire recycling, which ultimately produces very high-quality materials for recycling. Final products could be either shreds for thermal recycling, predominantly in the cement industry and crumb rubber of about 5 mm size used in various applications. The first step is the newly developed WANROOE Debeader which can take out two pieces of thick steel wires around the tire bead . 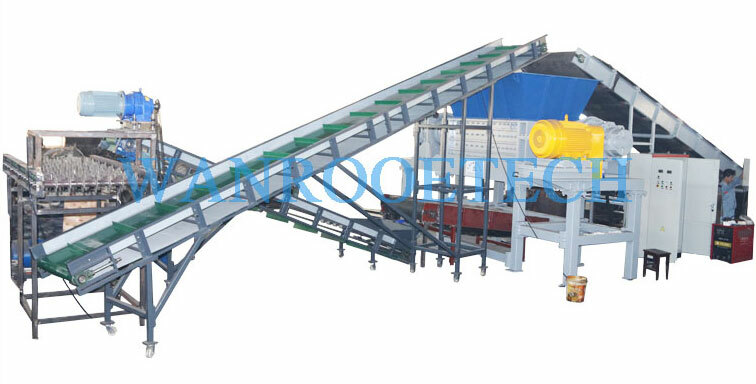 The main purpose is to protect the blades of the Two shaft shredder and the Crusher Crusher.